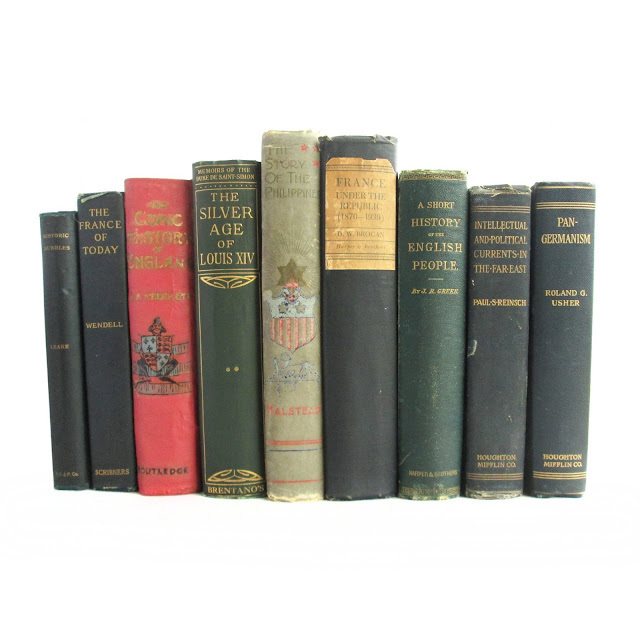 Handsome collection of nine antiquarian history books. They feature gilt lettering and decoration, some with illustrated covers. 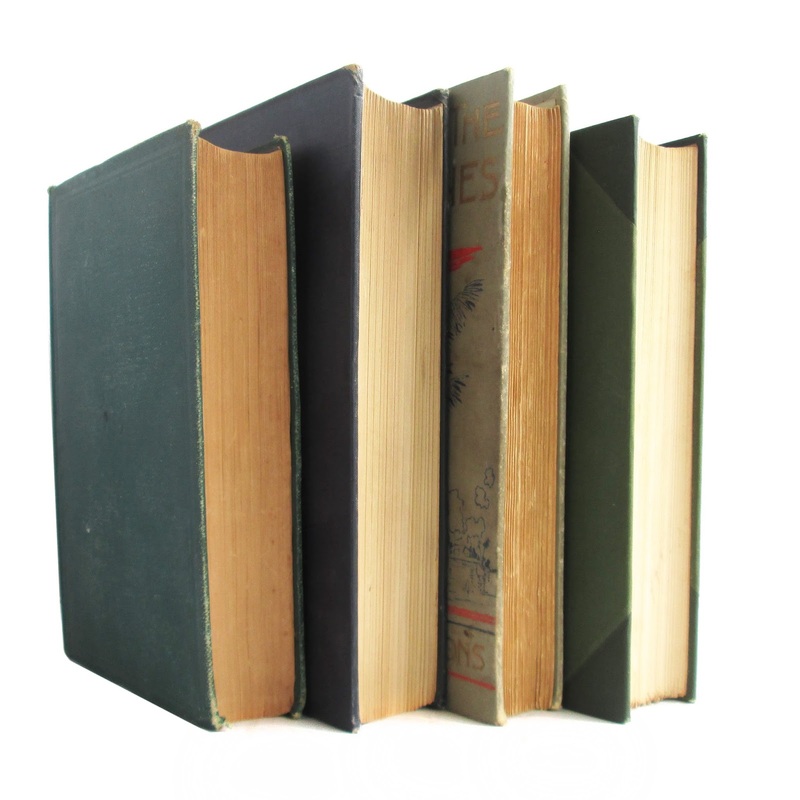 In general, the books show some wear and soil common to items of this age. You can check out full descriptions of each books below. Total size of this collection is approximately 14 inches x 8.5 inches x 5.5 inches. 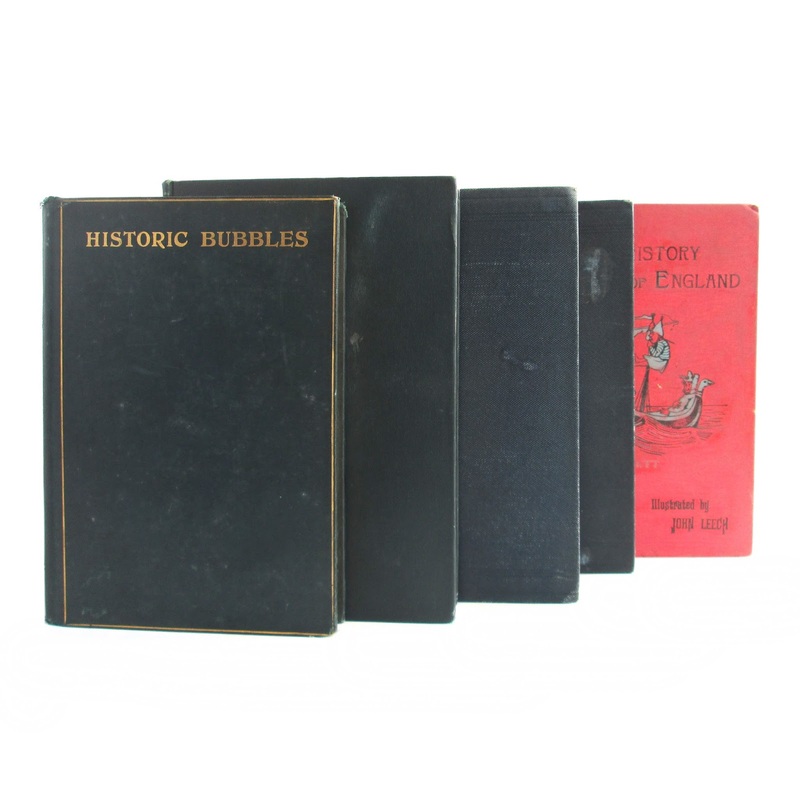 HISTORIC BUBBLES Leake, Frederic Riggs Printing and Publishing Co. Fair 1896 This antique hardcover book is bound in dark blue cloth boards with gilt lettering and a gilt cover border. 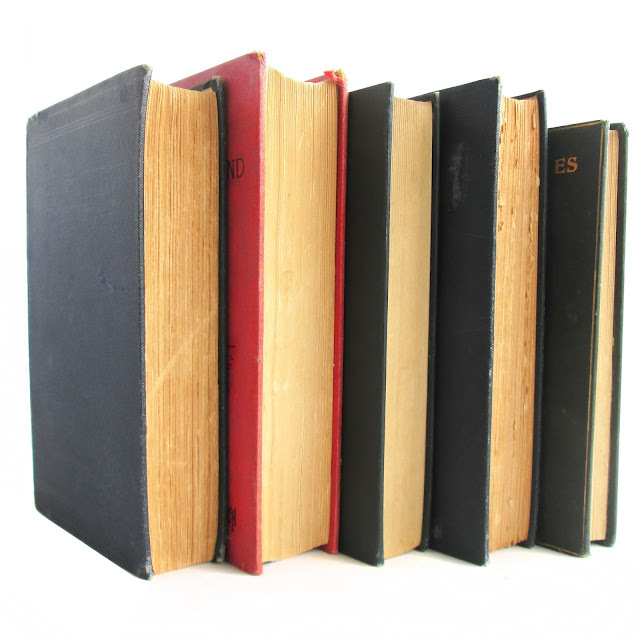 Covers have some wear and spotting; spine ends are edgeworn; writing and stamps on endpapers; title page loose; browned page ends; most inner pages clean. The book collects lectures delivered by the author while teaching at Williams College. Most discuss matters of European history, royalty and related matters. 217 pages; approx. 5"x8". The France of Today Wendell, Barrett Charles Scribner's Sons Good 1909 This is a look at the history of France. Book is in good condition with a newspaper article pasted to the front innerboard, edgewear, and soil. 2nd edition reprint. 379 pages. 8 x 5.5. THE SILVER AGE OF LOUIS XIV Vol. 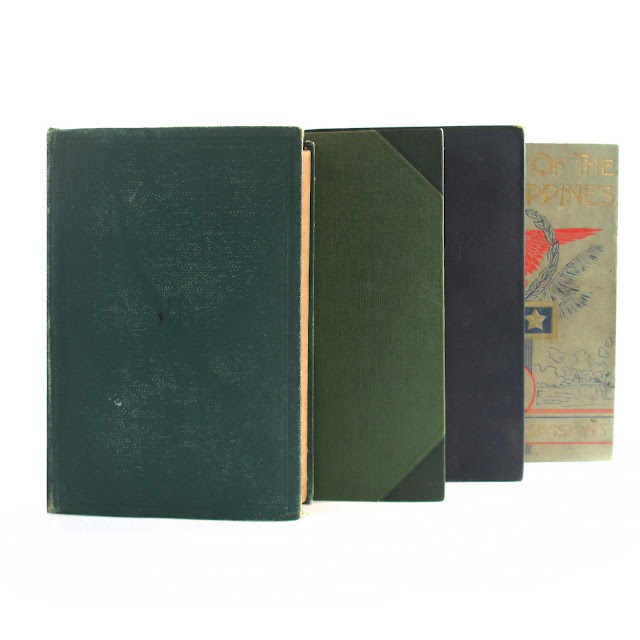 2 Arkwright, Francis Brentano's Good NA Antique hardcover green with gold lettering on the spine illustrated. with four photographs An abridged translation with notes from the memoirs of the Duke De Saint-Simon. vol. 2 , 514 pgs. 6x9. Book is in good condition with tanned and foxed innerboards, light wear and soil. PAN GERMANISM Usher, Roland G. Houghton Mifflin Company Good 1913 Hard Cover/No Jacket. 5.5"x8.5". this hard cover book has a black cover with gilt lettering on the spine of the cover. the owner's name is written on the inside, browned pages, wear and soil. 306 pages. THE STORY OF THE PHILIPPINES Halstead, Murat Our Possessions Publishing Company Fair 1898 This hard cover book has a tan and color illustrated cover with gilt lettering on the front and spine of the cover. The rear and front end paper is gone. The hinges are cracked, there is edgewear, soil, browned pages and the cover is worn. 7"x9.5" with 400 pages. INTELLECTUAL AND POLITICAL CURRENTS IN THE FAR EAST Reinsch, Paul S. Houghton Mifflin Company Good 1911 This antique hardcover book has a navy blue cloth cover with bright gilt spine lettering. Describes the political climate of "the Orient," in this case meaning India, China, and Japan, in an effort to foster greater understanding of this 'inscrutable' region of the world, which at the time of publication was still wrestling with what would come to be known as Westernization. Some pencil underlining, owner's name on first page, wear and soil. 388 pages, plus index; approx. 6"x8". 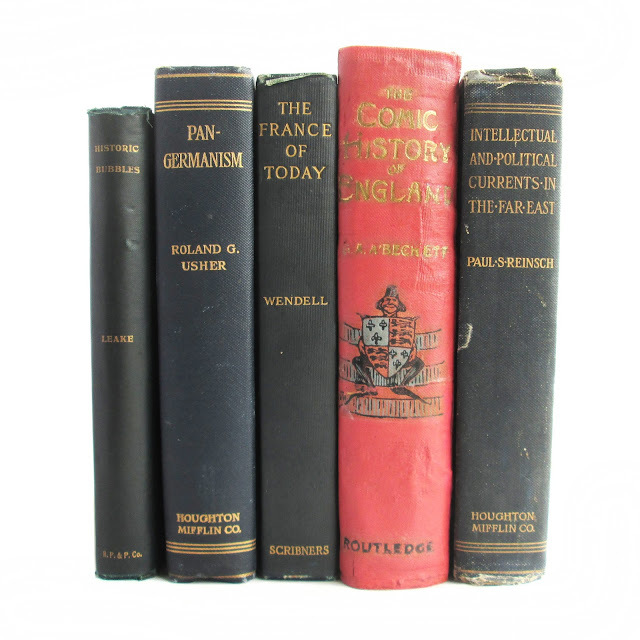 FRANCE UNDER THE REPUBLIC: THE DEVELOPMENT OF MODERN FRANCE 1870-1939 Brogan, D.W. Harper and Brothers Good 1939 This 6 x 9 hard cover book has the author's name and title on the binding in black lettering with a plain dark blue cover. The object of this book is to provide an account of modern French history from the fall of the Second Empire to the outbreak of the war. 744 pages. Book is in good condition. Some underlining and notes. Owner's name. Edgewear and cover soil. Clean with tight binding. 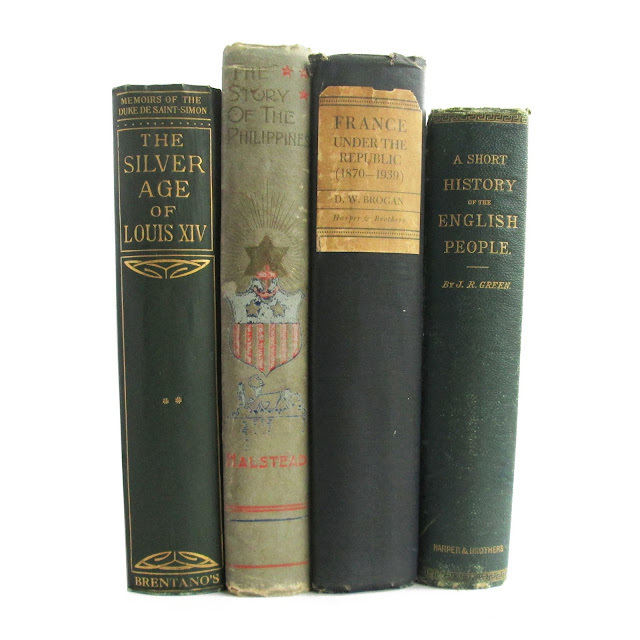 A SHORT HISTORY OF THE ENGLISH PEOPLE Green, J.R. Harper & Brothers Good 1881 This antique hardcover book is bound in pebbled green cloth boards with gilt spine lettering. Some edgewear, especially at spine; some cover wear; cracked front hinge; owner's bookplate on front inner board; some browning of inside pages, though most are clean. 823 pages, including index; approx. 7"x9".